This was a good performance by Trowbridge despite the points dropped. Winterbourne nearly took an early lead after three minutes, Scott Cameron shooting wide with only Adam Sheppard to beat after a mistake by Adam Glover. Two minutes later Trowbridge went close, Adam Nunn hitting the post direct from a corner and a Winterbourne defender clearing off the line when Andy Bloodworth hit the rebound towards goal. Trowbridge looked the more likely but it was Winterbourne that took a first half lead. Darren Andrews running through to slot the ball past Sheppard after 22 minutes. Trowbridge were unable to find an equaliser despite some good pressure. Some excellent interplay between Matt Cooper, Adam Nunn and Gavin Eyre saw the latter scrape the crossbar. Andy Bloodworth also had two chances, one blocked and one that went wide before the half time whistle. In the second half the pattern continued with Trowbridge looking for the equaliser. Gavin Eyre played a nice one-two with Matt Cooper in the 54th minute and was through on goal but Tom Shepherd saved with his feet to concede a corner. Winterbourne attacked on the break and forced a few corners but failed to test Sheppard with any direct shots at goal. The Trowbridge goal was set up by Waleed Bakali after 57 minutes. He gained possession in midfield and played a nice through ball for Dave Percival to run onto and he made no mistake with a low shot past Shepherd. 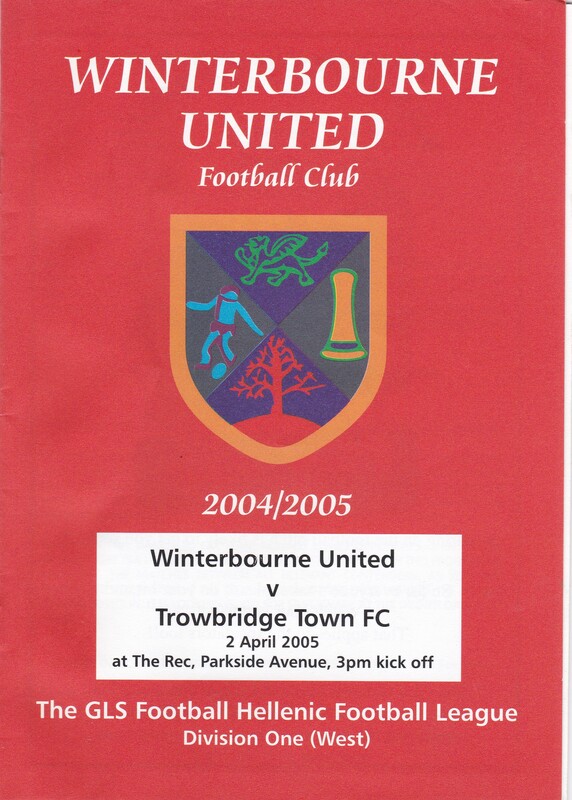 With time running out, Trowbridge continued to press forward, occasionally leaving themselves vulnerable at the back but Shepherd denied Andy Bloodworth with another good save with his feet and Winterbourne held out for the draw.